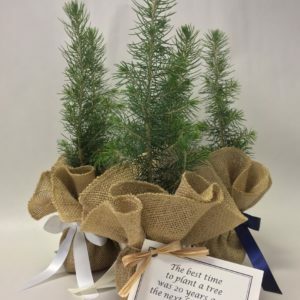 Eco-trees are great for tree wedding favors and a way to “go natural,” showing your Earth-friendly views. 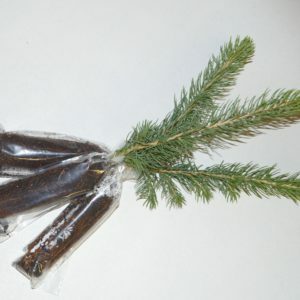 Any of our tree seedlings can be packaged as Eco-trees, so they can go anywhere. 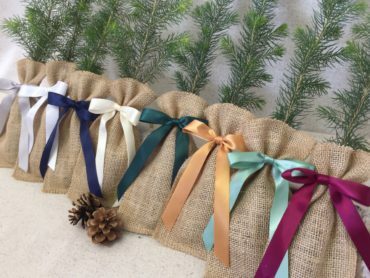 The eco tree seedlings are packaged in a clear plastic bag, and placed in a 3” x 6.5” natural burlap bag. They are then decorated with your choice of ribbon. Planting instructions are included for each bag. You can add a 2.5” x 4” custom tag to have your personal message. 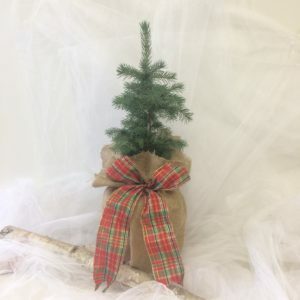 These work great for pine tree wedding favors, corporate gifts, and advertising. To save $1.50/tree, you can choose to receive your eco trees as a kit to assemble yourself. Choosing a custom tag will add $.50 per tree. Which color do you want your tag to be? Which border would you like for your tag? What do you want your tag to say? For orders of over 1500 trees, please call the office for a custom quote at 1-800-825-5122. Fed Ex ground shipping will take 4 days to reach your location. For a faster option, please call the office at 1-800-825-5122.